After your initial search, you can narrow the result set by choosing from among the facets on the left side menu. 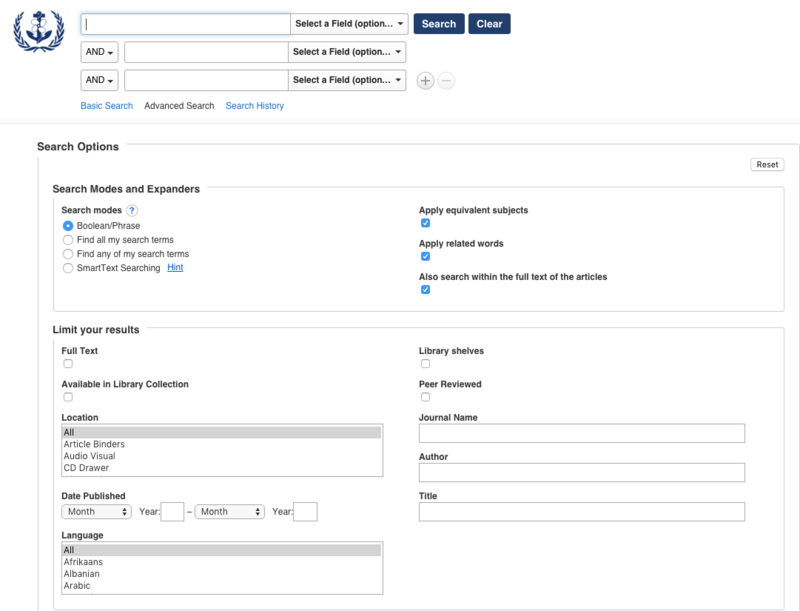 You can opt for the 'Full-text" online materials or for the physical inventory on the "Library shelves," as well as limit by subject, publisher, date, and others. You can also choose Advanced search which will offer many more options. Feel free to untick the box "Available in Library Collection" and search for materials that are not immediately accessible, but might be requested from the library staff.